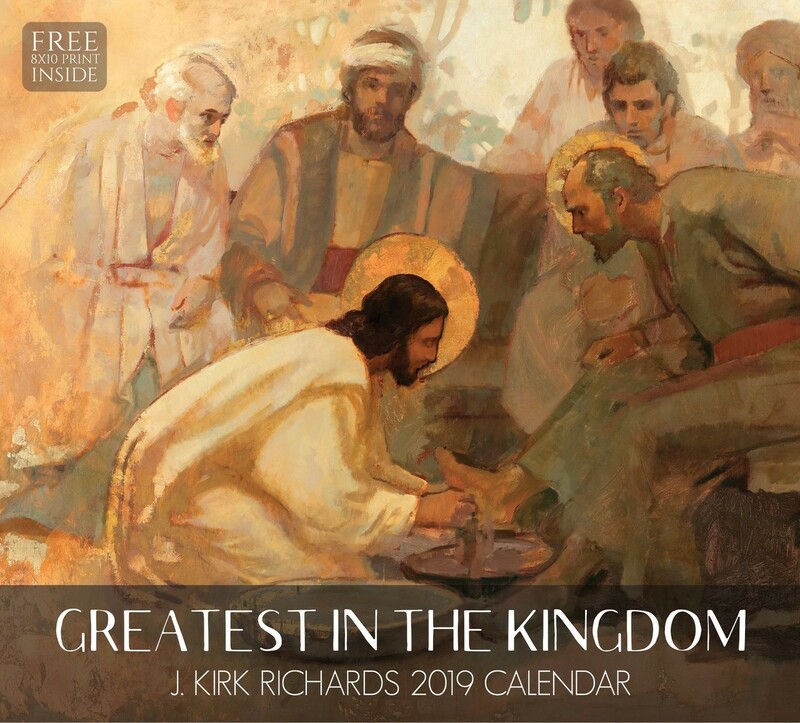 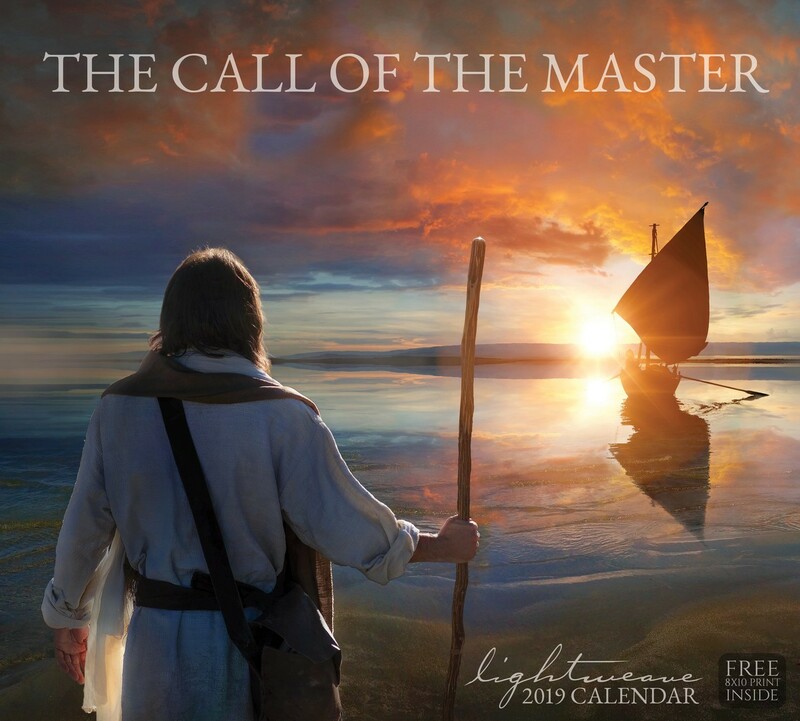 Experience the love of Christ's invitation to follow him in "The Call of the Master" 2019 calendar from Kelsy and Jesse Lightweave. 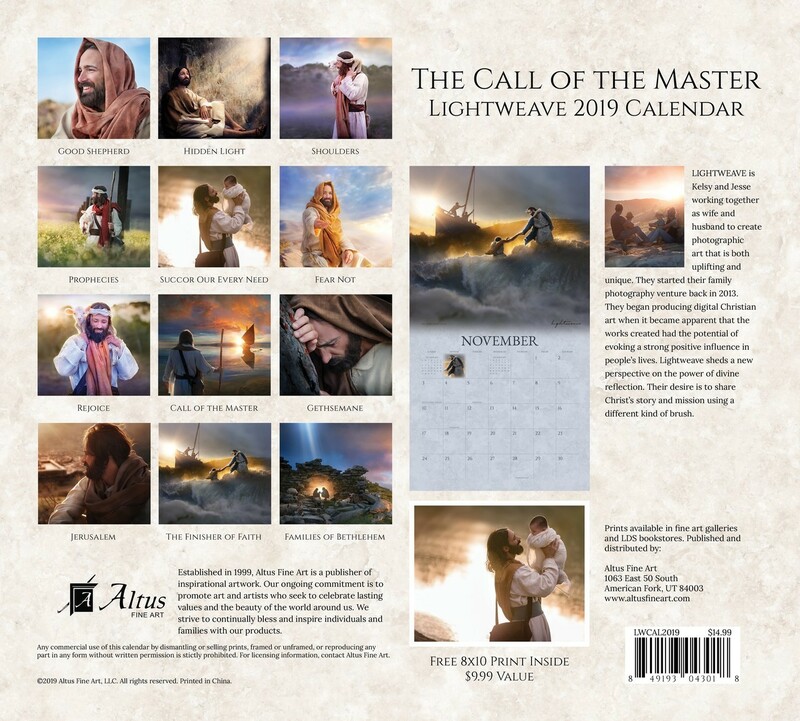 It has 12 months of unique photographic digital art from the couple, who worked hard to bring a new perspective to the life of the Savior. 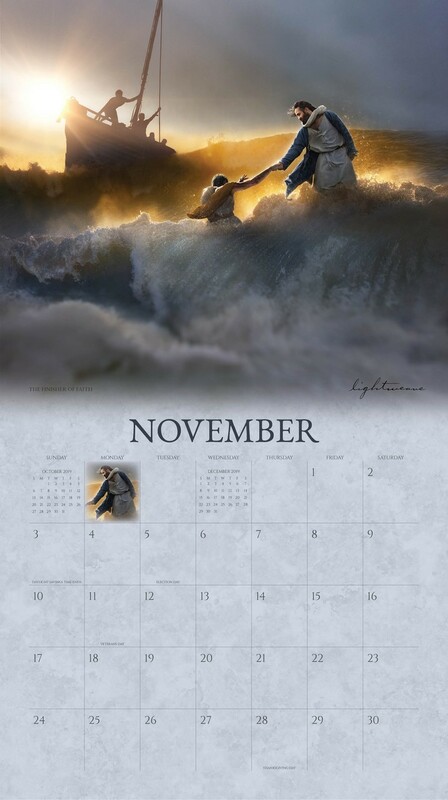 Each monthly spread includes small full-month layouts of the month before and the month after and major holidays. 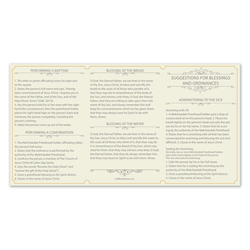 You also get quotes on each spread. 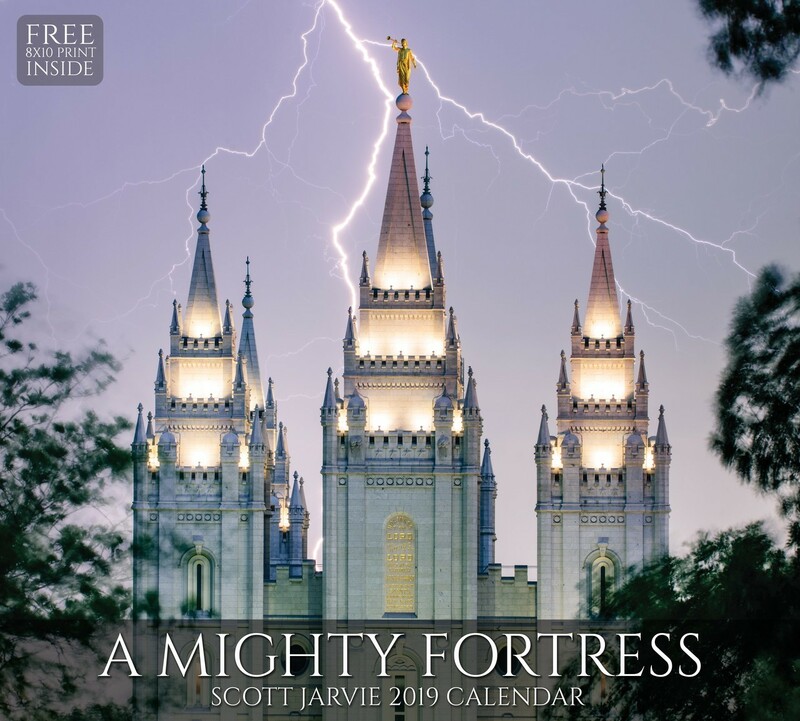 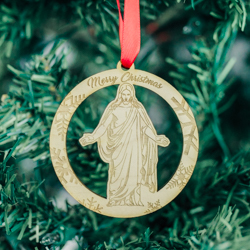 Included with every calendar is a free 8x10 print of Christ holding a child.